A COMPLETE LINE OF FUNERAL SUPPLIES! Assisting grieving families requires a special level of care and attention to detail. There is no room for error. To provide the best possible service, you need equipment you can count on. We design products that combine quality, reliability and value. Our goal is to supply great products that enable you to focus on providing the best possible care. We understand that your business is looked to provide more than just professional funeral services, but to extend gentle guidance and support to your customers during their time of need. Every family places their trust in your business during the sensitive time of planning and conducting services for their loved one, and believes that you have their best interest in mind. We want you to have those same feelings while conducting business with us. We strive to supply your business with quality funeral and mortuary products that position you to offer exceptional services to customers, and to care for their departed as you would your own loved one. When you purchase equipment from us you are more than just another number, you become an extension of the Friendship Funeral Supply family. With more than 30 years of combined industry experience, our team is committed to designing and supplying world-class products at competitive prices. 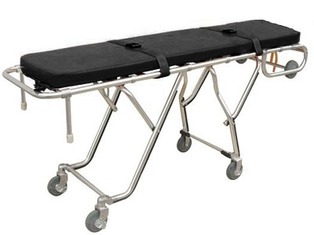 Our product family includes mortuary cots, casket quilts, church trucks, church truck drapes, cot covers and embalming tables. Because your crematory, mortuary, funeral home or removal service is a business, every item you purchase must provide maximum value. This is why leading death care professionals rely on our products. We are based in Greenville, South Carolina. High Quality Products. Affordable Prices.